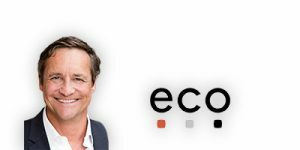 Cologne, 17 January 2019 – On the occasion of its New Year’s reception in Cologne, eco – Association of the Internet introduced the first members of its recently established Presidency Committee. “It is our goal as an association to identify on-trend digital topics more rapidly and to more broadly apprehend their impact; to extend our Internet industry perspective by integrating multiple points of view and lines of thought from other fields; and to further promote the interdisciplinary exchange of views and experiences on the opportunities and challenges of the digital transformation. I am particularly pleased that, with the first three members of our Presidency Committee, we have been able to recruit experts from the operator industry and from academia, who together will infuse our perspective with valuable impetus and ideas,” says eco Chair Oliver Süme. The first three members of the Presidency Committee are Prof. Anja Feldmann, Director at the Max Planck Institute for Computer Science and Leibniz Prize winner; Saskia Steinacker, Global Head Digital Transformation at Bayer AG and member of the High Level Expert Group of the EU Commission for Artificial Intelligence; and Stefanie Kemp, Group Head of Innovation, Transformation, and Digital Technology with the Lowell Group. In the coming Presidency Committee meetings, the Association plans to identify the first joint projects requiring the cooperation of all societal stakeholders in the field of digitalization. The Presidency Committee will successively include further high-ranking representatives from industry, academia, media, and politics.